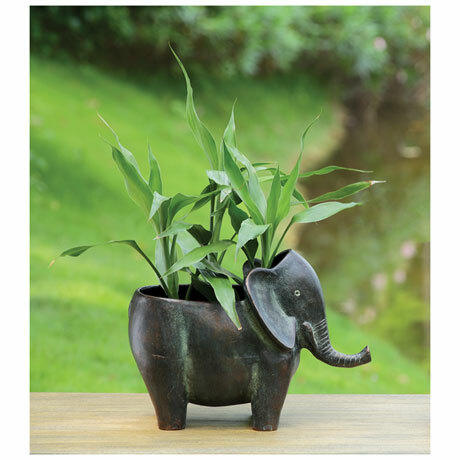 Sturdy, substantial, made to last forever, this planter is a beauty on the patio or in the home. 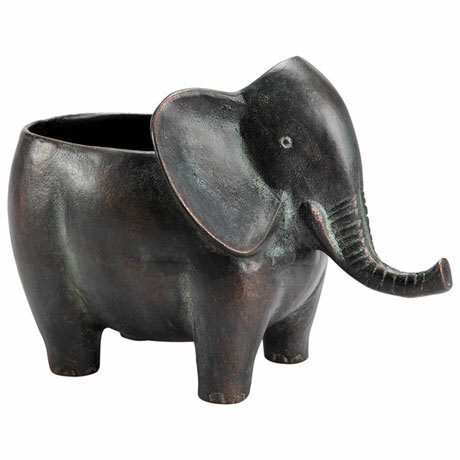 Cast aluminum with a rubbed bronze ?nish, handsomely detailed and generously sized, it's a sculpture as well as a planter. A splendid wedding or housewarming gift. 12"w x 9"h x 8"d, 4 lb.